Digital version reviewed for Xbox One. This review attempts to avoid spoilers for the game, show, and book series, however, there is some plot and lore discussion and therefore light spoilers may be present. 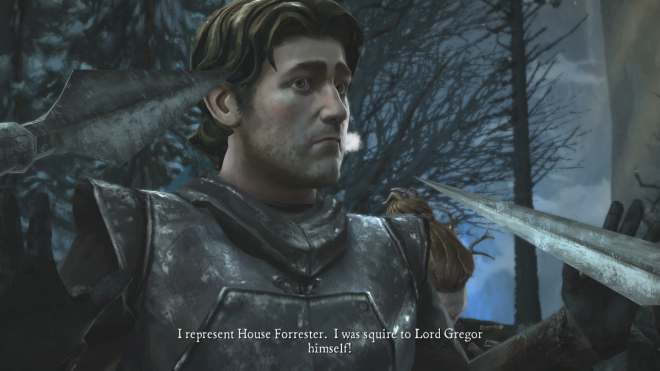 'The Ice Dragon' is the sixth and final episode in the first season of Telltale’s 'Game of Thrones' adventure game, which began just about a year ago. The previous episodes are 'Iron from Ice', 'The Lost Lords', 'A Sword in the Darkness', 'Sons of Winter', and 'A Nest of Vipers'. A second season has been announced. In the review for 'Nest of Vipers' I wrote that it was the best Telltale episode I’d ever played. I still feel that way, but 'Ice Dragon' is pretty close to the top as well. There is a lot of potential deviation in terms of story depending on player choices throughout the season. My playthrough could look very different from another player’s, but most of the base decisions and scenes proceed in basically the same manner. As usual, I’ll be discussing the characterization and narrative from the perspective of my own Forrester family. A great deal of exposition has been saved up for this episode. Most of the mysteries we’ve been investigating throughout the season, such as the nature of the mythical North Grove, are finally laid bare. I haven’t been the biggest fan of Gared Tuttle’s segments thus far, as the conflicts and supporting characters have been rather weak, but the bombshell of the North Grove makes up for the lagging subplot. Gared’s loyalty to the Forrester family, despite not being a blood relation, is commendable. He has been willing to renege on his vows to the Night’s Watch (punishable by death) on at least two occasions. In return, I cannot remember a single instance in the season where a Forrester family member said "Hey, remember Gared, the guy we banished to the Wall and asked to infiltrate White Walker territory to investigate an old wives’ tale? How’s that guy doing?” He has been taken for granted, but due to his extreme distance from Ironrath, he has no idea what’s happening with the family after his exile and how close it has come to destruction. Most of the attention of this episode, as it has been all season, is centered firmly on Ironrath and the reigning heir of the Forresters. Rodrik/Asher is tasked with defeating the encroaching Whitehills despite being precariously outnumbered. Asher’s reinforcements from Essos are helpful but are hardly enough to defend Ironrath. Depending on player choices they might even cause problems of their own, as if the threat of imminent destruction isn’t enough. Beskha’s role is much smaller in this episode but she is quickly becoming loyal to the Forresters. I’m glad to see this happening because it seems like everyone in Westeros has lined up to backstab, betray, or otherwise screw over the Forresters. Finding genuine allies is a real treat, and it’s even better when they can survive for more than a single episode. The third playable character in this episode is Mira, still lobbying for the family’s interests in King’s Landing. The capital is far more dangerous than anywhere else in Westeros with the possible exception of the lands north of the Wall. I have played Mira rather badly, as the King’s Landing scenes have been the most complicated of all the subplots. I was never sure who to trust and who to throw to the wolves, and so I left a trail of muddled and confused nobles and handmaidens, none of whom are particularly interested in Mira’s welfare. The ending of Mira’s storyline is shocking, to say the least, no matter what has happened up to this point. The pacing and script of the episode are excellent, with just the right amount of loose ends when the dust settles after the bloody, exhausting denouement. The cast from the TV show have very minor parts, where they have parts at all. This allows the quite capable Forrester clan to entertain us with less competition from the star power. Having people like Tyrion and Cersei Lannister around can be cool, but it can also be distracting. Afterwards I was treated to the most detailed Telltale stat page I’ve seen, with many, many decisions examined and rated against those of other players. 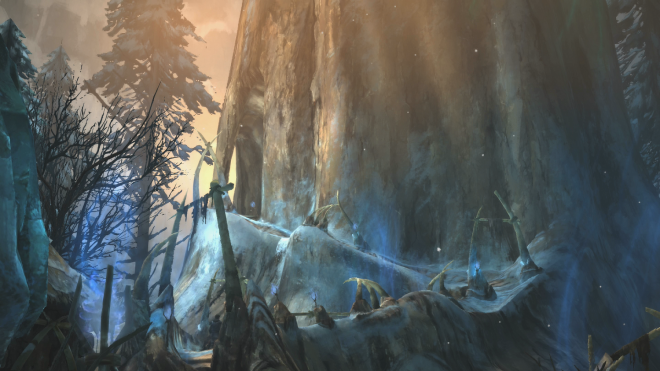 The North Grove looks nice in an adventure game way, better even than the forested panoramas of Ironrath. The rest of the visuals are par for the course. The constant stuttering and framerate issues have been replaced by long, frequent load times, which is a far better arrangement. There are almost no new voice actors in this episode, but the cast that we already have is still doing admirable work. As mentioned, the TV actors are relegated to the shadows, except for the epilogue. 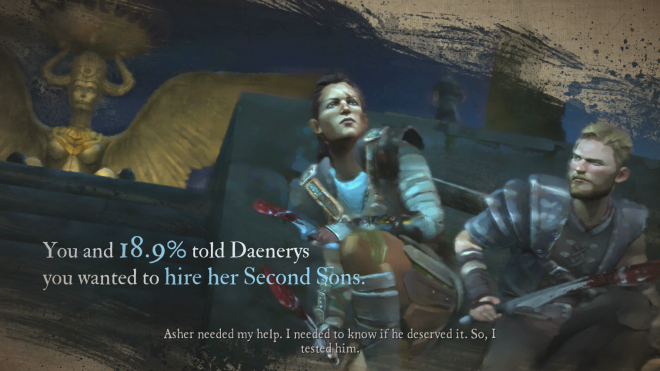 With the first 'Game of Thrones: A Telltale Series' season finished, it is now possible for perfectionist players to fine-tune their save files in preparation for season 2. I for one am pleased with how my Forresters turned out - brutal to the Whitehills and other enemies, generous with friends, and Northern to the bitter end. And the end is quite bitter. 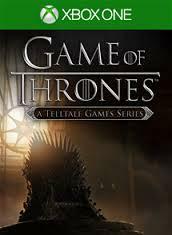 Telltale’s 'Game of Thrones' does far more than just trade on the good name of the accompanying TV show. In fact, it has nearly surpassed it in storytelling on several occasions over the last year. Even its low points have been entertaining, and I have relished the chance to have my own little story within Martin’s sweeping fantasy epic. Like most of Telltale’s recent work, the season is worth every penny.